Polishing – If you want it done ASAP call AWSP! All West Surface Prep has the tools and knowledge to turn your concrete floor into a shining work of art! We start with our expert surface prep techiniques to help in ensuring the best possible restoration of your old concrete floor. We use diamond polishing to bring the concrete to a shiny, glossy surface that never needs to be waxed. We can dye the floors with a wide range of colors, ranging from calm earth tones to wile vibrant colors. 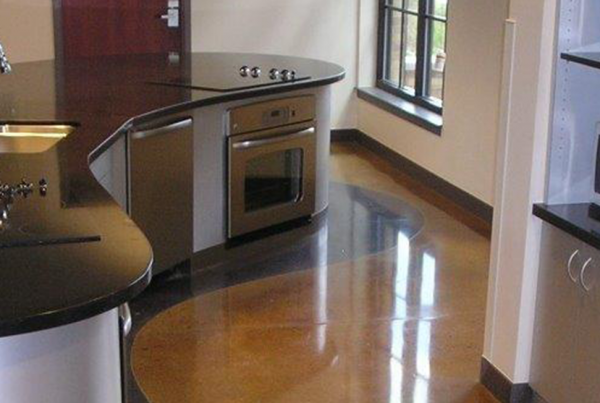 We are proud to offer UltraFlor® solutions for concrete polishing. 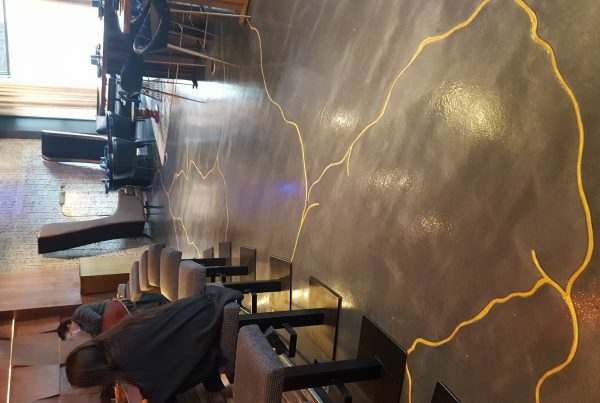 TheUltraFlor Polished Concrete System is a joint effort of ARDEX® andDIAMATIC® to create a fusion of polished concrete technologies with a 10 year warranty. These floors are the ultimate in polished concrete. With detailed and documented processes, UltraFlor Polished concrete guarantees the best results every time. Our crews are trained by major polishing system manufacturers, and have over 5 years of award-winning experience. 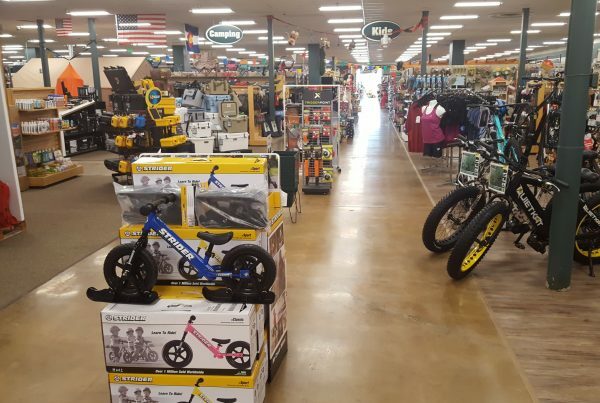 We have successfully polished floors in schools, hospitals, garages, retail stores and industrial facilities. A well done blend from edges to middle of floor is what sets the pro’s at All-West apart from the rest. 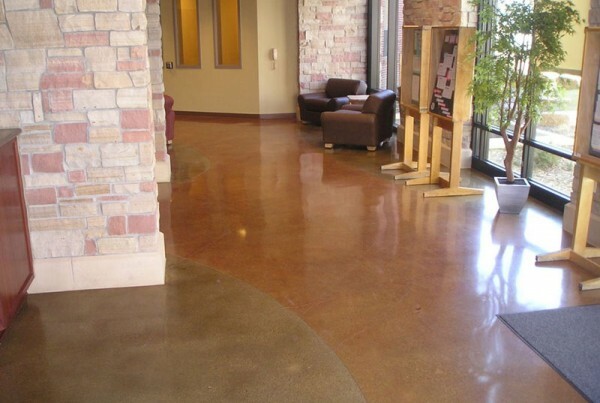 We are confident that we can make your concrete floor look amazing. Polished floors are easy to take care of and clean, while providing a durable and long lasting surface. 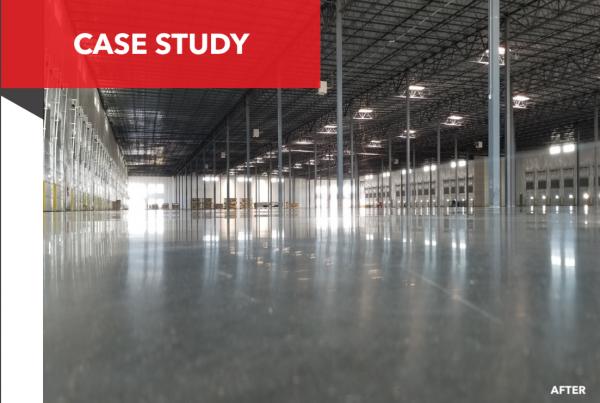 Polished concrete floors are ideal for areas such as large warehouse floors, retail stores, hotels and restaurants, office buildings, auto showrooms and even residences. A great cost effective and beautiful alternative to marble, granite, tile, linoleum or coatings; it’s also environmentally friendly! State-of-the-art dust collection systems for all grinders that adds to production capacity. "All in all though I think it looks great and will serve us well. I am agreeable with the balance due as presented. Your team did a great job!"